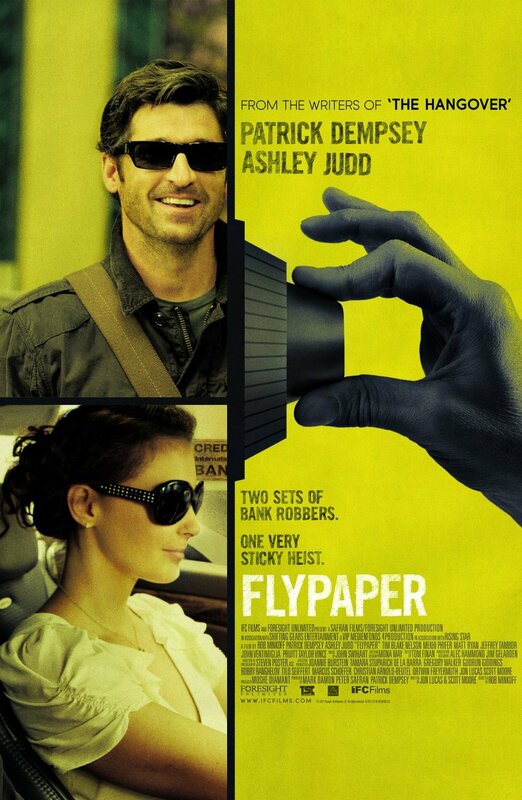 Brief Synopsis – Two teams of bank robbers show up at the same bank and must decide how to deal with the situation. My Take on it – This is a film that I had never heard of before but came across it when trying to find films for my wife to watch starring Patrick Dempsey. The style of film wasn’t to her liking, so she skipped it in the end and I watched it alone. The plot is a very clever and thrilling one but the film is presented as a quirky and strange comedy which doesn’t wok at all. The cats of this film is quite talented and we get to see Patrick Dempsey, Ashley Judd, Curtis Armstong, Melhki Phifer, Pruitt Taylor Vince, Tim Blake Nelson, Jeffrey Tambor and Octavia Spencer do nice job with what they are given to work with. The farcical nature of the film just doesn’t work well enough which is quite a same since the overall premise is very clever and unique. It might be perceived as a dark comedy by some, but it feels like it goes overboard too much which takes so much away from a potentially enjoyable heist premise. If this had been done as a real thriller, it might have been much more gripping and thrilling but the way that they present things now just isn’t entertaining enough due to the quirkiness of it all. Bottom Line – Quirky and strange presentation of an interesting idea. The cast is quite talented but the tone of the film takes away so much from he enjoyment of such a clever plot. Patrick Dempsey, Ashley Judd, Curtis Armstong, Melhki Phifer, Pruitt Taylor Vince, Tim Blake Nelson, Jeffrey Tambor and Octavia Spencer are do nice jobs with what they are given to work with. The farcical nature of this film just doesn’t work well enough and it might have worked so much better if this would have been done as a dramatic thriller instead of a pseudo comedy.